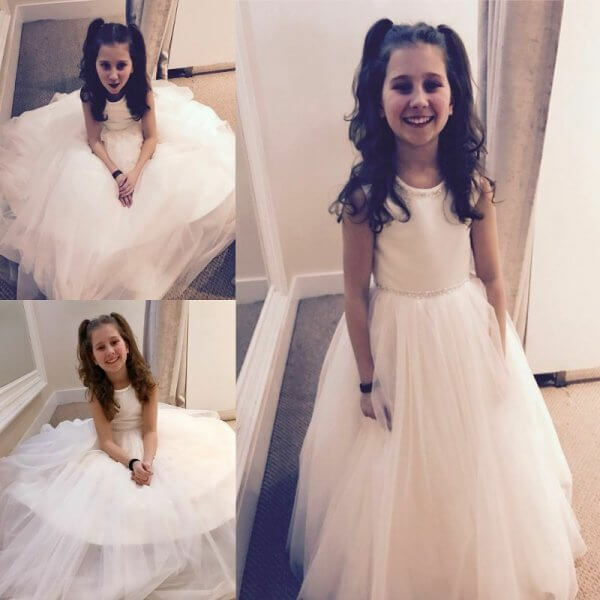 She may be small, but your flower girl has a big job to do on your wedding day; leading the way for your walk down the aisle. Because of her unique role, a lot of thought is put into the flower girl’s dress. Alot of brides opt to have there flower girl dressed in miniature versions of their Bridal gown. Other flower girls are outfitted in white dresses with sashes to match the bridesmaids. From tiered skirts to floral accents, each option is cuter than the next.